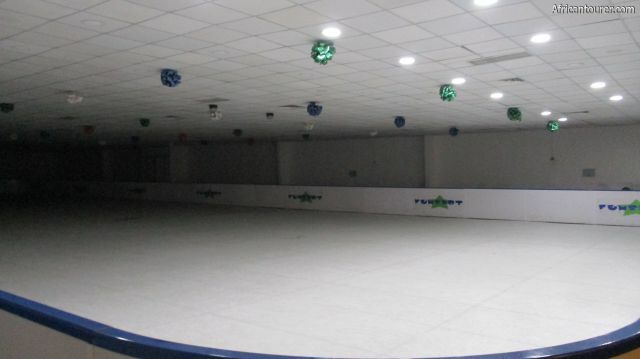 An artificial ice skating rink located in the middle of Dar es Salaam - Tanzania. This is the first and only one of its kind in the whole country and it is part of an even larger fun centre that includes a games arcade, a bowling arena and a thrilling horror house . What to do there?Go skating, with most of the equipment that you may need being available onsite. It's not exactly real ice but rather a polymer that mimics the properties of ice, with everything else being similar to that which you would find in a normal ice skating rink, including the bladed skates and the slipping and falling of beginners here and there. A perfect environment if you've never done any ice skating, especially if you are from Africa. If you are from other continents then this would probably be your only chance to tell your friends of how you went ice skating in Africa. Or you could head off to the bowling arena and even the video game arcade. If still not satisfied, then there is a whole mall to explore, shop or buy from. 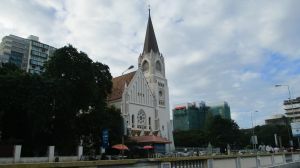 The Ice skating rink is located inside the Quality centre mall that is on Nyerere road, in Changombe suburb of Dar es Salaam - Tanzania. Upon using the main entrance next to the parking lot, the fun centre (where the rink is located) is the first thing you see on the first floor. It is in the same area as an arcade filled with games for children, video games as well as a bowling arena. For more information on its location, please see the map below (click to start). How to get there?From the city centre, there is only one public transport means to the location, the dala dala. For these you would have to take one headed to Gongo la Mboto and get off at the Quality centre bus stop. On the other hand if you are using private transport, then please use the map below. Are you associated with Ice Skating Rink (quality Centre) ? Contact us to improve this page or create another page for your business.